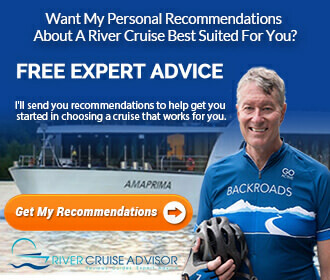 You are here: Home / Destinations / Europe / What’s the Best Choice for a Main River Cruise? What’s the Best Choice for a Main River Cruise? A cruise on the Main River will be combined with the Rhine or the Danube or might include both waterways. The Moselle River is also sometimes part of the itinerary as well as the Dutch and Belgian Waterways in Belgium and the Netherlands. Cruise length is between 5 and 30 days depending on the rivers that you cruise, the cities that you visit and the river cruise company. The best choice really depends on how much time you have to travel and which direction you would rather travel. If you would like to visit the Netherlands, a combination with the Rhine River will provide a chance to visit Amsterdam and a few cities in Germany, such as Cologne, Dusseldorf and Bonn. If your itinerary includes the lower Rhine River to or from Basel, a few of the stops along the way might include Strasbourg and Briesach. If you travel on the Main River to the Danube, your itinerary might include some very beautiful and intriguing cities, such as Nuremberg, Salzburg, Vienna and Budapest. The best combination could be a trip that combines the Main, Rhine and Danube Rivers. Since most packages are at least 12 days, this is the type of cruise that would be great if you have at least 2 weeks to spend vacationing. What’s the best Main River cruise for you? 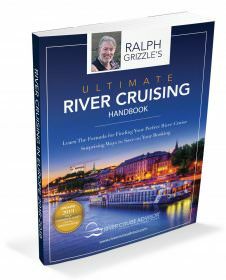 To find out read our complete roundup of Main river cruises. The Main River is 327 miles long and is the longest river located entirely in Germany. Flowing from east to west, the Main joins the Rhine River at Mainz, Germany. The Main River begins in the Upper Franconia region of Germany; however, the river is only considered navigable between Bamberg and Mainz. In 1992 the Main-Danube Canal opened, which connects the Main and Danube Rivers. The canal begins in Bamberg and meets the Danube River in Kelheim, Germany. This is now considered a major waterway that allows both passenger ships and smaller commercial vessels to travel between the North Sea to the west and Black Sea to the east. Read our complete roundup of Main river cruises.